Karen Black was always a memory. For me, the actress represented the ’70s, not just the movies of the ’70s, but the entirety of the decade itself. The strangeness of if. The craziness of it. The momentary voluptuousness of it. Karen Black, the centerpiece of the poster for a film that disturbed my ’70s dreams, Day of the Locust. That film also featured the famous little person, Billy Barty, who had his own children’s show while I grew up in L.A. But in the film of the Nathanael West novel, here was Billy Barty kissing and stroking a rooster before he lets it go into a cockfight. And even better than that, here was the crazy-eyed Karen Black, the woman who perfectly encapsulated the role of the dead-dreamed would-be starlet. Her casting was so damn right. Karen Black encapsulated the subject of the film, the abject, voluptuous horror of Hollywood itself, which seduced and tore apart so many human lives. I should know. My own father, a character actor, was emotionally dismembered by Hollywood, drinking and smoking himself to death while watching black and white war films in the wee hours. I could understand why my friend Kembra Pfahler named her band “The Voluptuous Horror of Karen Black.” I once had a nightmare that Kembra was physically attacked by Ms. Black. 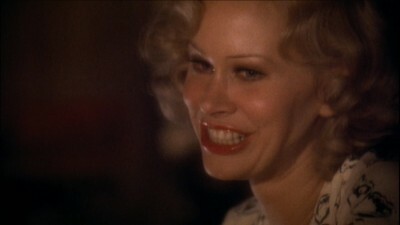 I got to meet Karen Black herself on a couple occasions. When I threw a party to celebrate the release of the Feral House book, Cad: A Handbook for Heels, a few voluptuous actresses who acted in Russ Meyer films, came to visit my house and the party, and so did Karen Black, who sat at my kitchen table slinkily consuming champagne. What an odd and wonderful moment for me. But now all we have are our memories of Karen Black acting in iconic ’70s movies, which themselves stimulated memories of other far-off examples of American culture. Films. The ’70s. Karen Black. God bless her soul.